Tourist attractions in Connecticut. Looking for the best Connecticut day trips for RV travel with kids? Look no further! Here you will find our Top 10 Connecticut attractions pics for families on the road. There are lots of tourist attractions you can use as the focal point of your family friendly Connecticut day trips. From educational to purely fun, Connecticut will have something for each member of your family to enjoy. This unique spot was one of the more popular tourist attractions in Connecticut in the 60's and 70's, as families arrived in droves to tour the grounds of a small scale replica of the city of Bethlehem that was build from cast off junk. However, after the death of its founder, John Greco, Holy Land was willed to a group of nuns and the 17 acre site is no longer officially open for business. However, families still enjoy peeking in through the front gates. 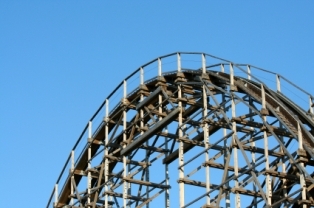 Few Connecticut day trips would be complete without a visit to this themes park, a family friendly site that is home to the Boulder Dash, a roller coaster that has been named the world's #1 wooden roller coaster. Located in Bristol, Connecticut, this park includes both rides and a water park, so plan to devote an entire day to this Connecticut attraction. This site is one of the tourist attractions in Connecticut that allows you and your family to experience the inner workings of an operational pottery design studio. This factory is open for public tours on Saturdays and Sundays, and you will have the opportunity to see a variety of different types of pottery projects in progress. Connecticut day trips for animal lovers should always include a trip to this zoo, which is home to over 300 different animal species from North and South America. Kids will love walking through the South American rain forest exhibit, as well as the New England Farmyard. This zoo is open 362 days each year, so if you're planning a holiday RV travel trip, call ahead. Open since 1973, this is one of the tourist attractions in Connecticut that allows you and your family to get a closer view of marine life. 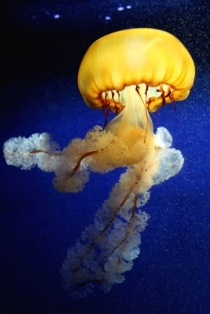 The aquarium houses Beluga whales, sea lions, jellyfish, and other exotic fish. Plus, this site is also home to special exhibits such as a Titanic exhibit and 3D films about underwater life. This Noank, Connecticut restaurant is famous for it hot lobster rolls, steamed lobsters, and other seafood delicacies, making it one of the tastiest tourist attractions in Connecticut. Beware, this spot is open for a limited time each year, during the summer months, so check the Abbot's website for this year's calendar before you plan any Connecticut day trips around this eatery. If you and your family are looking for a few chills down your spine, this historic copper mine turned prison may foot the bill. Home to a few accidental deaths, this site even holds the imprint of one victim's face in a rock. Spooky! Though there are plenty of tourist attractions in Connecticut that are historical in nature, this site features an extensive information chronicling 18,000 years of history of Native peoples in America. Though it serves as a treasured resource for scholars, it's also interactive enough to be family friendly. Famed writer Mark Twain spent many happy and creative years in this Victorian mansion, which now serves as part of a museum that educates visitors about the life and works of Mark Twain. 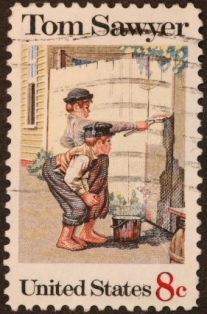 Noted in history as one of Twain's favorite places to live, this is a must-see Connecticut day trips stop if your family loves reading. You don't have to be a student to walk the halls of the famous Ivy League university. Supplement your itinerary of tourist attractions in Connecticut with a trip to the school's visitor center, an embark upon a self-led tour or a guided tour led by Yale students to get deeper insight into the history of this university.